Chapterfest is the National Capital Chapter’s premier celebration of everything NCC. Last year at Chapterfest 2018, after a nearly 10 year hiatus we welcomed more than 500 participants. Chapterfest attracts BMW CCA members and non-members from all over the east coast, with folks coming from as far north as New Jersey and as far south as North Carolina. This year we hope to welcome BMW CCA members and enthusiasts of other marquees! Chapterfest 2019 will encompass everything we do as a chapter. 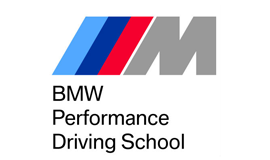 There will of course be a HPDE on Summit Point Circuit (Main), Mike Renner from the BMW Performance Center will be doing Hot Laps and an Autocross course on the Washington Circuit will feed your inner speed demon. For those inclined to tinker, there will be DIY demos of a track oriented nature, along with a DIY lounge for a quick rest. A People’s Choice Car Show will take place in the afternoon to show off your pride and joy. 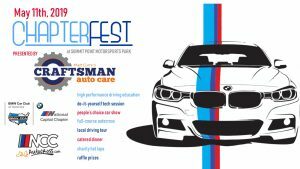 There will be a Chapterfest Tour originating at BMW of Sterling driving some wonderful twisty roads before breaking for lunch at Bavarian Inn before continuing on to Summit Point Motorsports Park in time to join us for the Chapterfest Dinner. Add to this your attendance and Chapterfest 2019 will undoubtedly be an enjoyable and unforgettable day. Mark May 11 on your calendar now! Chapterfest 2019 will not disappoint. You’re welcome and encouraged to come out and participate, spectate, ask questions, meet new club members, make new friends and have a great time! The cost to attend Chapterfest is $5 per person. However, if your total registration is $50 or above please use the discount code “CFReg” at checkout to receive $5 off.